Jesse Pinkman is Back, B*tches! 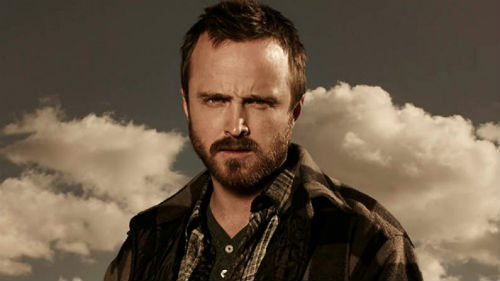 -A Breaking Bad movie starring Aaron Paul is officially coming to Netflix, then AMC. It’ll be a sequel about where Jesse ended up which — I’m not sure I need? In my head he drove off into a happy, healthy future and I don’t think the movie will go there. –Miranda Lambert reportedly dumped a salad on a woman during an argument in restaurant and honestly, this is the only thing salad has ever been good for. –Prince Harry and Meghan Markle attended a production of Wider Earth last night and wow, she looks so much further along than she did last week. –Jussie Smollett said he’s “pissed off” in his first interview since his attack. –Chris Evans was not amused by the photo ET Canada tweeted of him, but Netflix Canada swooped in to save the day. -I don’t watch Grey’s Anatomy anymore but I totally want Amy Acker to get that sweet, sweet ABC money. –Rachel Weisz talked about running for Supporting Actress despite Oliva Colman‘s insistence that they are all the film’s leading ladies. -Some poor woman agreed to date Johnny Depp. –Priyanka Chopra and Rebel Wilson tried not to flinch while James Corden tested their nerves. -Netflix tracked and saved every decision viewers made while watching Black Mirror’s choose-your-own adventure, which feels like the premise of a Black Mirror episode. -Netflix also announced that Queer Eye season three will drop in March. -The cast of The Big Bang Theory treated their studio audience to one final flash mob. -This is an interesting look at why the review embargo on Robert Rodriguez‘s Alita: Battle Angel may have been so early. -Here’s the first trailer for The Hustle, a remake of Dirty Rotten Scoundrels starring Anne Hathaway and Rebel Wilson. I’m very here for Anne’s terrible/awesome British accent. -Her interview-turned-dance with Stephen Colbert was also magic. -The White Boy Rick promo tour has given Matthew McConaughey multiple opportunities to repeat his non-so-great beliefs about the “problem” with single-parent families. -Goddamit. Aaron Paul deserves a better a show than Westworld. –Norm Macdonald apologized for his “Down Syndrome” remark, tried to clarify his Roseanne/Louis C.K. comments, and added “If 500 women go against a man, obviously the guy is guilty. But with Chris Hardwick, it was one woman against one man. So, I was saying that it was good … that Chris Hardwick has been rehabilitated as he’s going to get.” Yeah, he should probably just stop now. -Oh good, he just might. He gave the New Yorker what he’s said may be his last-ever print interview. -According the NYT’s new story on Les Moonves, the board only began to turn on him when they discovered, after months of assuring them the accusations were false or “grossly overstated,” that he was trying to find one of his accusers a job at CBS in exchange for her silence. -BoJack Horseman’s Raphael Bob-Waksberg apologized for the “original sin” of casting his show with only white people. -The Predator director Shane Black gave an emotional apology on the red carpet, telling the AP “I take full responsibility. I’m very deeply sorry…I hope I learn from this.” I hope he reached out to Olivia Munn. -The Good Place’s Jameela Jamil took down a gym bodyshamer. –Lindsay Morgan from The 100 and Emily Bett Rickards from Arrow keep posting videos of them working out together and it makes my gym sessions look like naptime. –Judy Greer cried while talking about BFF Jennifer Garner on yesterday’s episode of The Social. -In court documents, a jewelry designer has accused Sarah Jessica Parker of borrowing about $70,000 worth of jewelry, which she never returned. SJP’s lawyer is denying the allegations. –Missy Elliott surprised viral video star Mary Halsey on Ellen today. I love that they kept cutting to Kristen Bell during her performance. -The first trailer for Netflix’s The Chilling Adventures of Sabrina is legitimately creepy. -Here’s the first full promo for Julia Roberts‘ new Amazon show Homecoming, which looks creepy af. It screened at TIFF this week and people dug it. 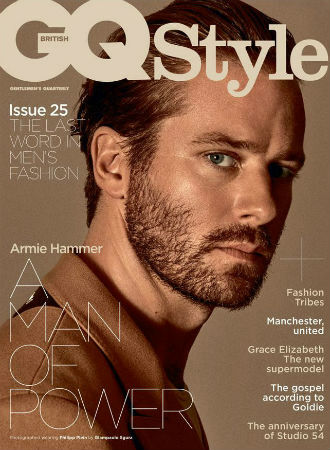 –Armie Hammer covers British GQ (as does his Call Me By Your Name costar Timothée Chalamet), and everyone is drooling over this pic of him in a sweater. After seeing him at TIFF I have a lot of conflicting feelings about him. He’s super dreamy IRL, but he also did a panel discussion with Chalamet and his behaviour was…not my favourite. -Move over, GOOP. Shonda Rhimes just launched her own lifestyle site. –Elsie Hewitt, a 21-year-old model, filed a civil lawsuit yesterday against actor Ryan Phillippe for allegedly kicking, punching and throwing her down the stairs after an argument on July 4. His camp is telling People that it was Hewitt who attacked him after he broke up with her. -Congrats to Breaking Bad’s Aaron Paul and wife Lauren, who are expecting their first child. Brace yourself for even more gushy social media posts (which I find weirdly endearing, tbh). -The guy who cast most of the CW shows says the network originally wanted Ashley Olsen and Rumer Willis to play Blair & Serena on Gossip Girl. -I like that Prince William is comfortable enough about balding to crack jokes about it. –Elisabeth Moss wrote “f*ck off” on the bottom of her Emmy shoes. Cute — but still doesn’t make me like her outfit. –Reese Witherspoon and Nicole Kidman politely struggling over who gets to hold the Emmy is giving me life! -I really like this piece about the conflicting emotions of being a Louis CK fan. It took me way too long to disconnect from him too. –Ansel Elgort‘s new movie looks like it might have a white saviour problem. Not cool, Hollywood.